Disclosure: Please note that I received special perks (including product samples) in order to facilitate this review. However all thoughts and opinions expressed below are my own. A full disclosure may be found at the bottom of this review. As parents, we're all short on time. It's a constant component in our daily lives. On days when you're in a huge time crunch, it can be hard to squeeze in even some of the most necessary errands---such as grocery shopping. But Farm Fresh to You can help you provide the healthiest foods in the most convenient way: scheduled deliveries right to your doorstep! Farm Fresh to You has a little something for everyone, and their prices start at only $26! Perfect for home or office, they have six box types to choose from so that you get exactly what you need out of your subscription: Mixed Fruit and Veggie, Fruit Only, Veggie Only, No Cooking, Traditional CSA, and the Organic Snack Pack. Next you choose the size that works best for you and your family, from Mini to Monster. You can personalize your box even more by swapping out any of the automatic produce items in your box with foods you'd prefer. Let's not forget that all Farm Fresh to You produce is completely organic. It's easy to cut out a trip to the grocery store altogether by purchasing more food necessities to be delivered along with your produce box! It's healthy living, simplified. Getting started only takes minutes. Signing up to start receiving produce was fast and easy. Always a great bonus for me. Provide your billing and shipping address, select your box type, and pick your first delivery date. After that, you're on your way to start receiving your subscription weekly! 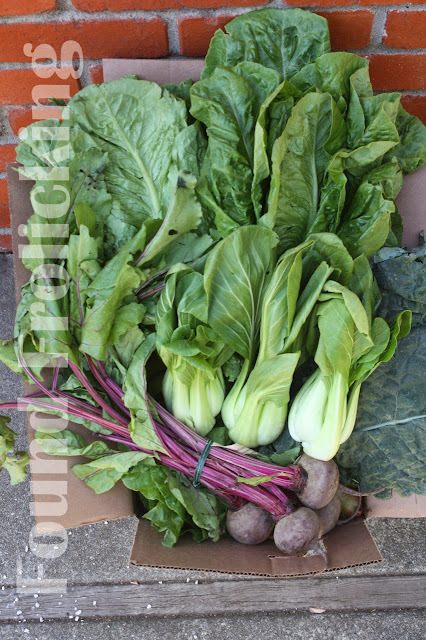 This was enough to fill two boxes to the brim with produce! The sugar pie pumpkin alone was at least 5 pounds, and I know it would have cost me $10+ alone at a grocery store. So it is definitely an amazing value! I'm very impressed. The fruit in the Farm Fresh to You box has provided my entire family with a sufficient amount of healthy snacks, and I've been able to incorporate all of the fresh vegetables into our dinner meals. Even our family rabbit has been able to enjoy the Farm Fresh to You box! Bok choy scraps and the carrot tops of the rainbow carrots are just a few of the greens he's been able to enjoy. My entire family has greatly enjoyed the quality and convenience of the Farm Fresh To You box, and I am sure your family would, as well. 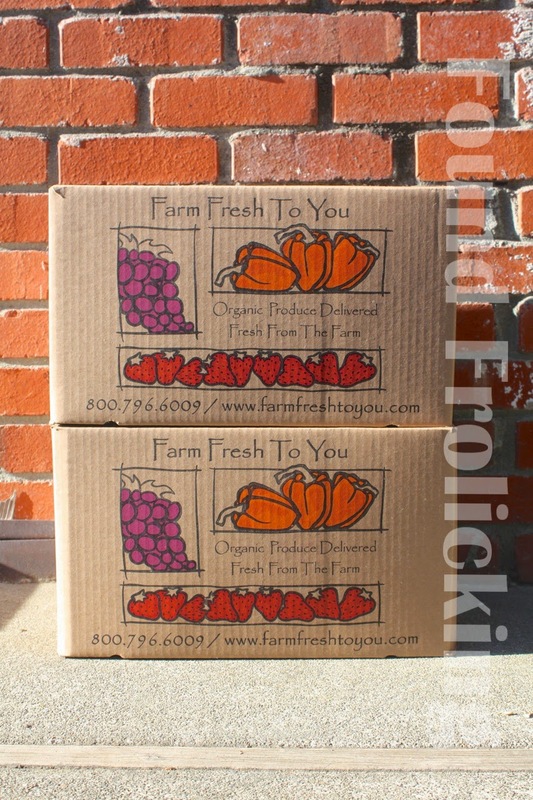 To start enjoying this amazing subscription service from Farm Fresh To You, please visit their website. In addition to all of the valuable information you can find about this service on their website, you can also find Farm Fresh To You on your favorite social media source: follow them on Twitter, like their Facebook page, follow their boards on Pinterest, subscribe to their YouTube channel! A first look at the beautiful produce in the Mixed Fruit and Veggie box --- leek, rainbow carrots, avocado and more! The abundant leafy greens in the Mixed Fruit and Veggie box. 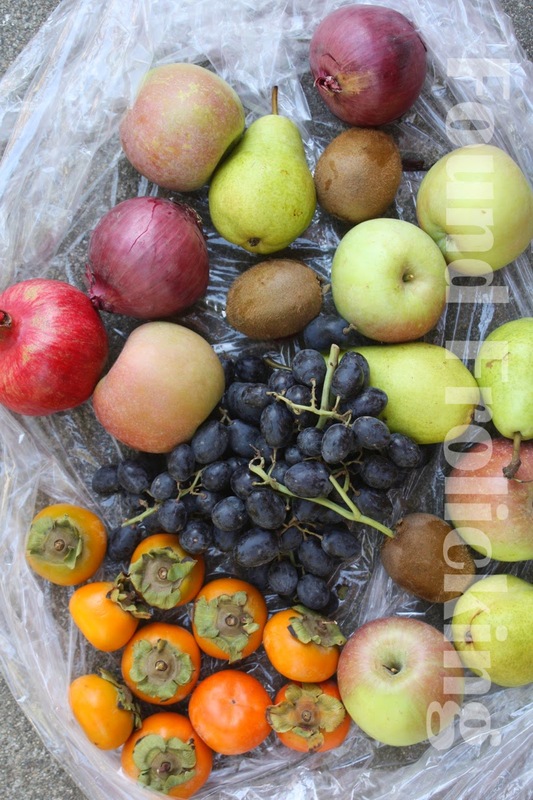 The delicious organic fruit (and onions, too!) in my Farm Fresh To You box. 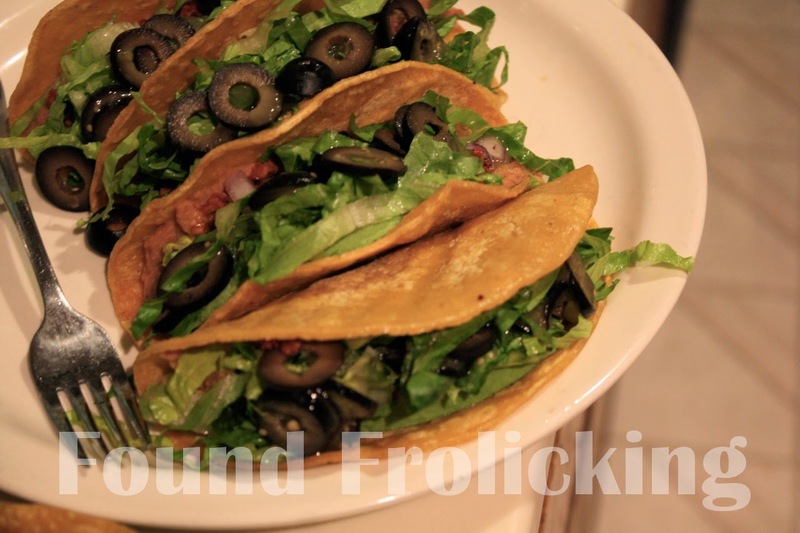 Homemade tacos using onions and romaine lettuce from the Farm Fresh To You box. 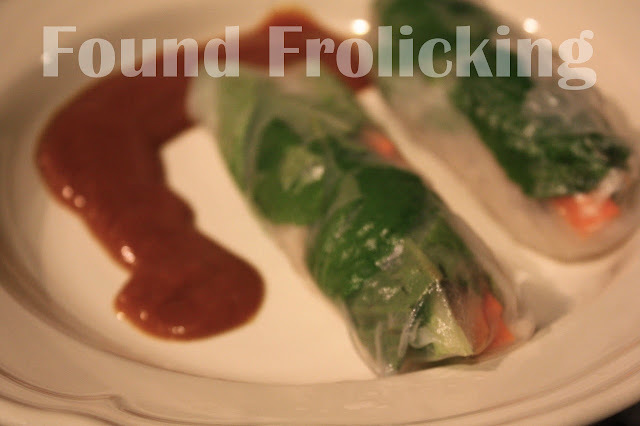 Tasty homemade Vietnamese salad rolls made with the gorgeous carrots and romaine lettuce from the produce box! Disclosure: This product was received by myself free of charge, in exchange for an honest review. I also received other special perks as compensation for my time. However, all opinions expressed are my own, and were in no way influenced by the brand or any other sources. The review and all photos with the watermark are the property of Found Frolicking, and should not be used or distributed in any way without first receiving permission. If you would like to work with Found Frolicking for a review, giveaway, advertising, or promotion of any other nature, please email Lalia at found.frolicking@gmail.com. That is so awesome! Now that the Farmer's Markets are winding down, this would be super! I would love this! How much was your box priced at? Was it a $26 box? I like that you can swap things out. Actually it was the $58 box. Our family is HUGE so I knew we needed the "Monster" box which feeds a family of 6+. But it is a great service that I highly recommend. Something to consider :). I love the idea of fresh fruits and veggies being delivered right to your doorstep! This is definitely a service I would invest in! I love this idea. Sometimes it's hard to find quality produce at the grocery store. Thank you for sharing. These are our kind of groceries! Totally love the concept. Saves me time and money! thank you for sharing! OOh my the colors of those are just amazing. Thank you for this information. I miss having such a great variety. those tacos look amazing. i love fresh food. I love that you can have organic fresh veggies and food sent to the door. Thanks for sharing. Really awesome. I love this idea of fresh and organic veggies and fruits at door step. We don't have such kind of service in my area:). Definitely this would help to avoid third party commissions and increase the profit level for Farmers as well. This sounds great but are they a little pricey? I guess I have to look at their site more carefully but I just think that sometimes I like to look at what I'm buying. Although I do love the convenience.